The title is a play on the expression "Down East" for the New Hampshire and Maine coastline. They are "down east" because the prevailing winds making sailing these coastlines down wind. Down wind, the wind coming from the stern of the boat, is the most comfortable way to sail, particularly if the waves are running in the same direction. Since we are talking prevailing winds the waves do in fact usually also come from behind. The unfortunate part of going "Down East" is that sooner or later most of us have to go back "up east." We describe this as a "slog." I am still in St. Pierre waiting to start my slog back up east. The problem is that the weather is not cooperating. There are two problems: The winds are quite strong, and (you guessed it) they are pretty much from the wrong direction. I can't do much about the second problem - hence the slog, but the first is keeping me in port. It helps to understand relative wind. Now, lets say that the wind is blowing at 15 knots. This is not a real big deal for Reboot. If I am going downwind the actual wind that I see is the true wind speed less the speed of the boat. So, at 6 knots of boat speed (a comfortable cruising speed) the wind is coming across the deck at 9 knots. We use lots of sail area. 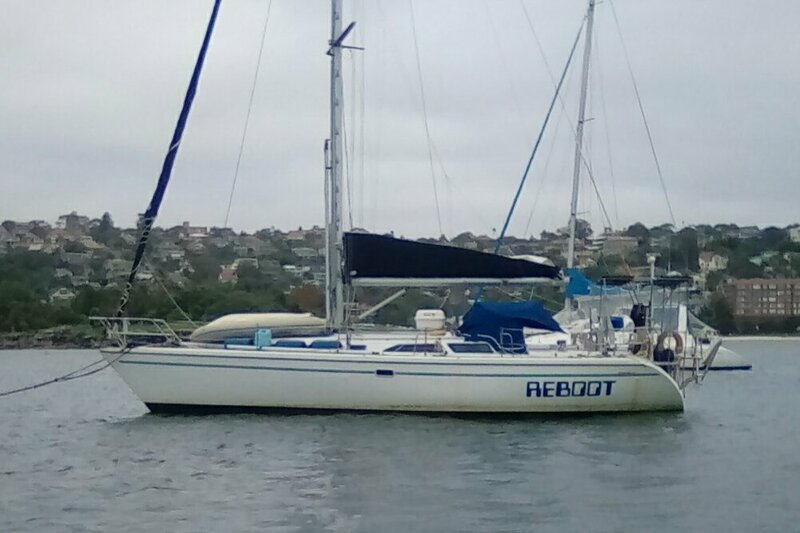 On the other hand if Reboot is heading upwind at a 45 degree angle (a good upwind point in the open ocean) then the wind is coming across the deck at (.707 * 6) + 15 knots (remember the 45 degree angle) or an effective wind speed of 19.2 knots - quite a difference in sail trim. By the way, it makes no sense to point up higher in the ocean since the autopilot can't react fast enough to keep the boat out of irons when it gets hit by 4 to 6 foot waves. I am still in St. Pierre because the forecast is for 30 gusting to 45. So gusts of 45 heading "uphill" are more like gusts of 50+. Not a fun time. An ideal wind speed for going upwind would be about 10 to 15. The forecast says I might just get that on Friday or Saturday. In the meantime here I am. I went shopping yesterday. It was quite revealing. If you live anywhere in the US you expect that your local store will always have enough of everything you need. Not so here. After I took 24 cans of diet Pepsi they were out of stock. The situation was similar with other items. The variety offered was quite good, the stock levels were just thiner than I anticipated. 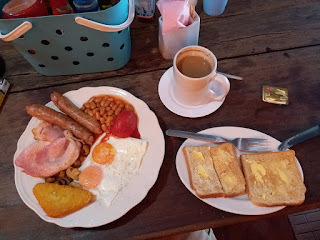 I am sure that as I move on to less wealthy countries I will find this experience even more commonplace. I spent some of this morning trying to figure out the relationship between Picasa 3 and Picasa web albums. Major fail! Well, I will have lots of time in the future to continue to work it out. I received some questions about the AIS map. When I am in port there is no reason to run the AIS system. Apparently the web site does not remember my last location but rather just puts up a random chart. So, no, I did not teleport to the Far East. LOL.